Home / Uncategorized / Where Do Carbon Emissions Go? Where Do Carbon Emissions Go? Scientists have spent decades measuring what was happening to all of the carbon dioxide that was produced when people burned coal, oil and natural gas. They established that less than half of the gas was remaining in the atmosphere and warming the planet. The rest was being absorbed by the ocean and the land surface, in roughly equal amounts. In essence, these natural sponges were doing humanity a huge service by disposing of much of its gaseous waste. But as emissions have risen higher and higher, it has been unclear how much longer the natural sponges will be able to keep up. In fact, much of the carbon is absorbed in the ocean and land surface, and that will add variability to the relationship. 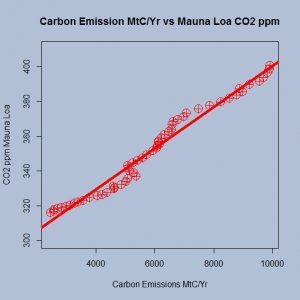 The Global Carbon Project has this data available and it can be used by teachers. Go to their page and click on the global budget link for the data, which includes ocean and land sinks of carbon. If you want the data that created the graph on this page go here. Did a wall impact violent crime in El Paso?